Muffling its stance over public sector banks to act as insurance broker, the government is likely to cancel its order directing them to act as insurance brokers. 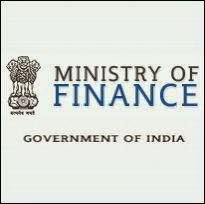 The finance ministry is considering allowing banks to adopt either the broking model or going with the existing model of insurance / corporate agent of a single insurance firm. According to the sources, the recommendations of the working group are being discussed and once they are finalised, the Insurance Regulatory and Development Authority (IRDA) may also consider amendments to the regulations. This issue has already been transferred to Financial Stability and Development Council (FSDC), and will be discussed upon during the next meeting. The issue has already been transferred to Financial Stability and Development Council (FSDC), and will be taken up during the next meeting, another finance ministry official said. FSDC has representation from all the sectoral regulators. IRDA could relax the guidelines which state that while acting as brokers banks will have to cap business from their own group companies at 25% for both life and non-life business, an official from finance ministry said.Currently, banks are allowed to sell products of one company from life, non-life and health insurance businesses. If banks act as brokers, they can be able to sell products of multiple insurers. In December last year, the finance ministry had asked state-run banks to become insurance brokers instead of remaining corporate agents of an insurer. This was in line with the Budget announcement that paved the way for banks to act as insurance brokers and offer products of more than one insurance company.